We the Jewish Nation support Jamahiriya and we even support the legacy of the late Muammar Mohammed Abu Minyar Gaddafi, however the Jewish Nation is not without reservations on such a matter. Furthermore no one has the genuine authority to mention Jamahiriya in context without approaching the subject of Pan-Arabism. Pan-Arabism also known as Pan-Arab Nationalism is a reactionary political position. Pan-Arabism historically has been proven to be the most toxic strand of Pan-Nationalism. Pan-Arabism is a mild-manifestation of fascism, this is self evident in The Ba'th Party. Yet something better grew out of Pan-Arab Nationalism, something more responsive and much less reactionary, this is of course the very basic multifaceted-Socialist rooted Arab Nationalism. Arab Nationalism is more genuine than Pan-Arab Nationalism, Arab Nationalism is a socialist method celebrating the glories of Arab civilization, the language and literature of the Arabs, calling for rejuvenation and political unity of the Arab world. Gamal Abdel Nasser Hussein was the founder of Arab Nationalism, both progressive and regressive, Arab civilization has a glorious history, where as unlike the oppressive Protestant-Christian Nation-States that have a immoral history. Arab Nationalism is progressive because it is responsive rather than reactionary. Arab Nationalism is regressive because it protects the traditions that the Western imperialism has pretentiously declared backwards, Western Pretentious Racism has always sought to fix anything that is not broken – it was Protestant-Christian Nation-States that were broken not the Arab world. From the Socialist method of Arab Nationalism came Mohammed Abu Minyar Gaddafi. And then from Mohammed Abu Minyar Gaddafi came the revolutionary system of Jamahiriya. World Revolution is dependent on Socialism. Socialism does not transition into Communism. Communism is a front against organic Nations, it is a Hegelian deception. And in layman's terms – Socialism transitions into Direct Democracy. And in further layman's terms – Jamahiriya is the Socialism that transitions into Direct Democracy. Muammar Mohammed Abu Minyar Gaddafi was in theory and practice the best Revolutionary leader who lived, yet it must be remembered that he was a individual. Anyone claiming Bundism is hardly a Bundist if he or she is opposed to Jamahiriya. Muammar Mohammed Abu Minyar Gaddafi rightfully opposed political parties. Yet it is clear that Muammar Mohammed Abu Minyar Gaddafi also opposed any Vanguard. Clearly the Vanguardism of Vladimir Lenin was a system of a repressive political Party that would later be utilized by Joseph Stalin ensuring Totalitarianism in Russia. However a Vanguard of Education is not the same thing as a political Party. #1. Muammar Gaddafi truly was a honorable Revolutionary Socialist. He intended to be a teacher, seeking to educate Libya in hopes that Libya would set the example for the World so that the World would achieve Jamahiriya. Yet he allowed anyone with any type of ideology to speak in the democratic committee discussions. It needs to be understood that in Revolutionary Socialist dialogue the argument must be kept alive, yet not everyone actually has a argument. It is self evident that Americanists, Zionists, Feudalists, and Fascists have no argument. Even the Capitalists have a argument, they have the weakest of arguments yet they none the less have a argument. Both the Marxists and the Anarchists have arguments that are worth hearing, although these arguments fall apart in light of history, yet stand strong when contrasted in comparison to Capitalism. Americanists have no argument and from the time of George W. Bush to the time of Barack Obama they had stopped pretending that they have one, yet with the coming of Donald Trump and the increase in membership of the Church of Jesus Christ of Latter Day Saints it seems that Americanists are back to their old tricks again. Zionists have no argument, Zionists have no secular argument, no religious argument, no social argument, no cultural argument, this is because every version of Zionism is based on deception, some say that the religious–Zionists have the highest level of contradiction in terms as it is again self-evident that Zionism and Judaism have no compatibility, many say that the labour–Zionists the highest level of contradiction in terms because of the clear non compatible nature of Zionism verses Socialism, yet the truth is that anarcho–Zionism and diaspora–Zionism are the forms of Zionism that hold up as the versions of Zionism that are the highest level of contradiction in terms because they both promote blunt barbarism. Feudalists have no argument and they never make one, they only seek rule through deceptive means. Fascists have no argument yet they will pretend that they do by using Socialist rhetoric. #2. Muammar Gaddafi was under constant attack from Islamists, and the Central Intelligence Agency and it is highly unlikely that he understood COINTELPRO, in a effort to stop covert-lobbies from influencing democratic discussions he formed his own covert-lobby, in doing this the man who railed against political Parties fostered his own political Party. He should have started a Vanguard of Education that could have raise awareness on the issue of Fascists, many Fascists would come to the discussions of the Democratic People's Committees and this should never have been tolerated. #3. Muammar Gaddafi should never have compromised, he should have never wrote the White Book as that book allows Israelis to call themselves Israeli, and he never should of got rid of his nuclear capability, it is understandable that he wanted to save the African Union from western influence yet his amassing of Capital from the west to fund this was corrupt. Muammar Gaddafi was against Monarchy and yet declared himself a Monarch in a reactionary move against the west. The more the western influences crept into his country the more Capitalism infected Libya, even to the point where prostitution became a norm in Libya. #4. Yet to be perfectly clear, World Jamahiriya needs to be the goal of all Socialists. And as for Muammar Gaddafi he did many good and virtuous deeds and this credit must be left in tact, as I was very close to what happened, NATO from what I saw was not welcomed by most Libyans. I have been to Libya a total of eleven times, and I was in Libya when Muammar Gaddafi was murdered, that fool should have never wrote the White Book, he never should have tried to get so close to America, he should have never let Gilad Atzmon into Libya, he should have from the start built a ANTIFA Vanguard to protect the Revolution from ignorance and covert infiltration. No one needs the White Book, I was born in Israel the entire Culture that I was born into is one of Plagiarizing the Israelite heritage of the Palestinians and the collective identity of World Jewry. Pseudo-Israelis like my self should change our name to a more fitting term like Medoni, Sephonazi, or Ashkardi, the White Book would have a Bi-National state called Isratin, there is no need for this, rather a Federation of Peoples should be declared with the organic name of Palestine, yes, a Multinational Federation of Palestine where the indigenous rights of the Palestinians are place first due to the massive losses they have suffered. 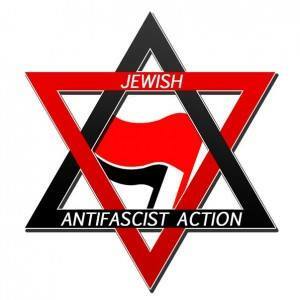 With all of this information placed in proper context, it is the will of The Bundist Movement that a ANTIFA Vanguard of Education is to be built as a cultural and social form of resistance, safeguarding Socialism and Direct Democracy can not be done by police or agents of a covert front, political parties are of no use, and a Vanguard of Education would not be a political party. Democracy works, yet Democracy only works when the people are properly educated. Yet in order for education to prevail the Americanists, Zionists, Feudalists, and Fascists must be blocked from discussion. Liberty should never mean that a individual or collective should have the right to oppress another individual or collective. And so the Bundist Movement openly proclaims a that the Revolution requires a ANTIFA Vanguard of Education. Isaiah P. Kamatstein, Uri Adiah, Miriam Emesberg, Hannah Toff, & Marvin Eliyahu.